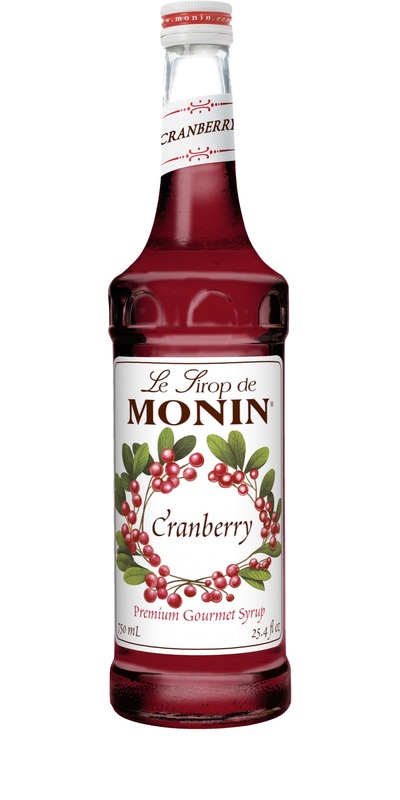 Monin Cranberry Syrup adds berry goodness to teas, lemonades, cocktails and sodas. The fall cranberry harvest lasts year-round with our Cranberry Syrup. Its tangy, sweet, berry flavor brings tartness to cranberry margaritas and cocktails, hot and cold berry teas, holiday specialty drinks and more.